Gareth entered teaching in the 1990s after reading physics at Liverpool University. He has also spent time as a Fleet Street journalist and run his own public relations business. 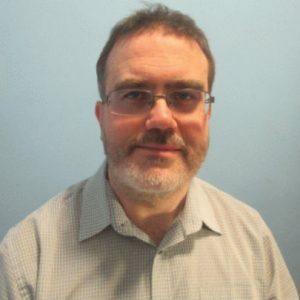 His educational roles have included head of physics at one of the country’s leading grammar schools, and teaching at the East London Science School and Michaela Community School. He helped to set up the Physics Factory, a London Mayor project to boost physics teaching, and is organiser of the AOI Education Forum. He is currently enjoying teaching English and Mathematics to apprentices. He also writes widely on education and science, and his spare time is taken up with his two sons, and studying William Blake.